I haven’t been writing much (well, at all) lately. My blog is abandoned, my NaNoWriMo novel from 2017 remains just over 50,000 words worth of unedited scenes, my journals are empty. I hope the pendulum will swing back to writing at some stage, but honestly, the past few months have just been busy. We’ve been busy job-applying, organising, packing, moving, and now learning a new job. We’re still The Campground Family, but quite a different sort of a campground. It’s in a bigger town, a town we adore and have always wanted to return to. It’s right on an amazing walkway, and right on the beach. In the summer, it’s going to be wildly busy. We feel so lucky to be here. And in the two-and-a-half weeks since we moved, I’ve found a new(ish) creative outlet. And we love watching her and taking photos and enjoying being in this amazing place. (And also organising a new house and learning a new job is intense, and taking photos is pretty easy to fit within the little snippets of free time that we find). I miss writing. I miss having more time for me. I miss quite a few things, really. But I have a feeling that this wonderful place will play a part in pulling together the many various threads of my life so far into something like no other. And even though it’s tiring and difficult at times, that feeling makes it all seem worthwhile. On Christmas morning, we woke up early. But it wasn’t because of an overexcited kid. Nope, The Campground Kid didn’t really know about Santa, and actually had a sleep in. It was because we had to start work at 7:45am. Yep, this year, we worked on Christmas Eve, Christmas, Boxing Day, New Years, and quite a few days in between. Welcome to the campground business! But actually, we didn’t mind, and for the most part, it was totally fine. I love the holidays. I love big celebrations with my family. I love Christmas music. But for various reasons (divorced parents, mother who’s a minister, living far away from family) I’ve never been too wedded to a particular day or a particularly traditional celebration. We managed to have Campground Papa’s parents here for Christmas Eve/morning. And on our working Christmas, we enjoyed spreading a little cheer around the park, a swim, some presents, and my first ever glazed ham for dinner. We had a Christmas Shrub (TM) set up, a lot of Christmas music in the office, and for the first time The Campground Kid was actually interested in opening presents. There was plenty of Christmas cheer to go around. Then we had a couple of days off where we saw a bunch of my family and celebrated Christmas (Observed) at a glorious bach. We ate, drank, played backyard cricket, and watched the kids be loons. 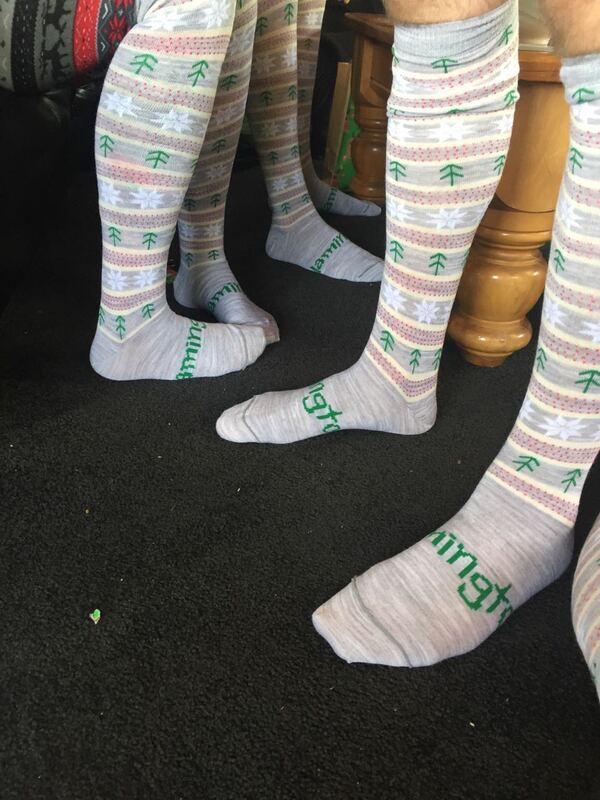 We had a little Secret Santa. We had strawberry cheesecake chimichangas and gingerbread coffee as the kids tore into their gifts. 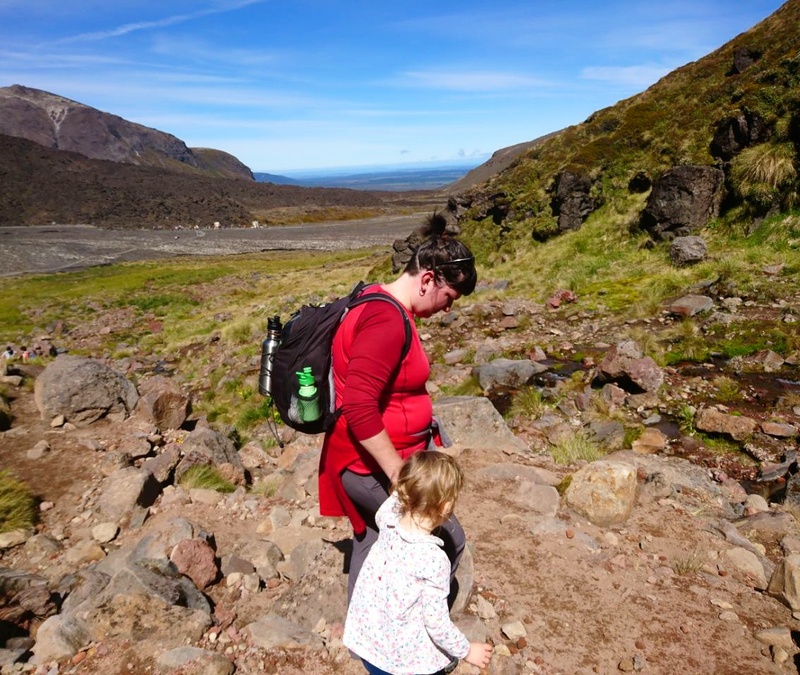 We did a post-Christmas tramp on the most amazing day in Tongariro National Park. It was, quite simply, great. But it was also hard. We had to get everything way in advance to make it happen. We rushed from work to bach with very little packing time. We rushed from Christmas (Observed) to tramping. And then we went from a hot morning tramping to a windy drive home straight back into work and followed it up with the busiest day of the year. We were go go go go go. It wasn’t working Christmas that made it hard. 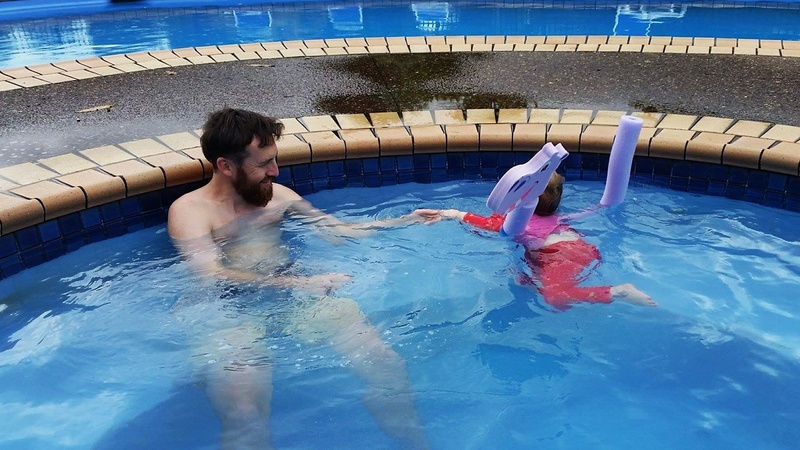 It was not having a summer holiday when all of our family and most of NZ were having a summer holiday that made it hard. It was trying to fit a week of celebrations and travelling and activities and fun into a weekend. It was having to be so much more organised than ever before. So when we finally had a breather on January 3rd? First we sighed a big ol’ sigh of relief. And then I decided that I need a planner. Planners have often failed me in the past. And now that my week is non-traditional, I felt like a premade planner would be even less successful. 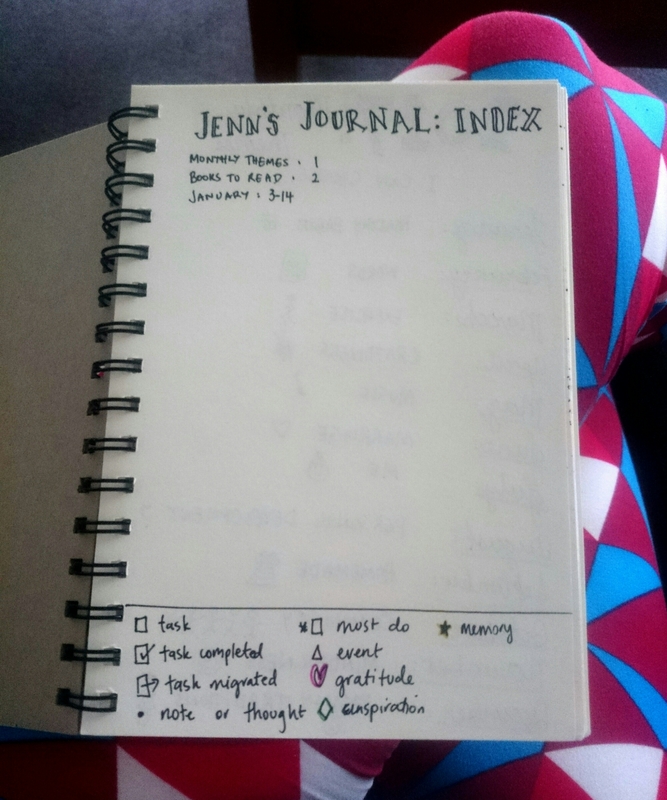 So I’m diving into the (amazing, but rather more intense than expected) world of the “Bullet Journal”. It’s not the prettiest, and it’s not entirely “bullet”, but I’m guessing no one really cares about that. In fact, probably no one cares about my journal at all. But I’m hoping that posting about it publicly means I stick to it more than I have in the past. And I’m hoping that it, along with the extra year experience, means I’m a little more prepared for working through the holidays next year. Maybe it will help me work through some other stuff too? I can only hope! This is us; The Campground Family. We recently moved from an expat assignment in Brunei, back home to New Zealand to manage a holiday park. We’ve never done anything like this before, but we’re all figuring it out together. The star of the show is the small one with the banana. She’s two, she’s funny as hell, and she’s the boss in this house. She’s The Campground Kid. Her favourite parts of living at a campground are the cleaning van, checking people in and out, the trampoline, and riding around in the little truck with her Papa. Speaking of her Papa, he’s the beardy one on the right (which I suppose is obvious.) He’s an ex-Engineer with a practical mind, and an all round good guy. Campground Papa’s favourite parts of living at a campground are the chill vibe, the outdoors work, and chatting with people as he does the rounds. And then there’s me: Campground Mama. I have done many different jobs in my time, but most recently my job was staying home with The Campground Kid. My favourite parts of living on a campground are the flexibility, working as a team with Campground Papa, and figuring out how to solve the different problems that arise each day. We are all loving being back in New Zealand. We missed the New Zealand bush and the New Zealand attitude and the New Zealand seasons. And we’re excited to be involved in what we see as a great part of New Zealand culture: camping.